When was the last time you sent a letter of complaint to a company? And when was the last time you sent a thank you note for excellent service? I think it should be mandatory that for every letter of complaint you write, you should write at least one thank you note. I think this would help us all become a little less bitter. We’d also learn a little something about living with gratitude. It used to be pretty commonplace to write thank you notes, and letters of thanks have existed for many centuries. Today, they’re still common, although mostly, they’re written for special occasions. When people get married, they write thank you notes for receiving wedding gifts. When people have baby showers or have babies, they write thank you notes for the baby gifts. But what about the small, everyday things? Have you ever written a parent or parent figure a thank you note for always being there for you? Or a note to a store employee for giving you great customer service? Writing thank you notes can be a great way to practice gratitude. But expecting one, and then not receiving one and getting upset, completely defeats the purpose. A gift, by definition, is something you give because it pleases you to give. It comes with no strings attached, and the act of handing it to the recipient is the end of the story. If that recipient chooses to send you a thank you note, that’s great! But the smile on their faces and the “thank you” they gave you in person should be more than enough. Gifts, despite what Sheldon Cooper says, do not work on a reciprocity basis. If you expect something after giving a gift, you’re not gifting, you’re bartering. You don’t owe anyone a gift, and anyone who receives a gift from you isn’t required to send you a thank you note. In the same manner, you’re not entitled to any gifts, and you’re not required to send anyone a thank you note. But you should send one anyway. Here’s why. It may sound odd, but writing someone else a thank you note can make you feel good about yourself—especially if you’re trying to practice more gratitude. As you write the thank you note and put it in the mail, you’ll feel confident in yourself as a person full of gratitude. It’s a great practice for your own well-being. 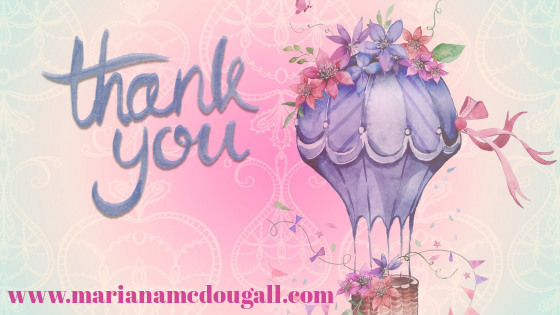 Although writing a thank you note is not a necessity, the person who gave you the gift will probably feel awesome knowing that you truly enjoyed what they gave you. Write the thank you note anyway. You can write a sincere thank you note even if you disliked the gift: “thank you for thinking of me and putting your time and thought into a gift,” still thanks the person without compromising your honesty. With the dawn of email and electronic communications, very few people get handwritten notes anymore. Brighten your gift-giver’s day with a nice thank you note in the mail. If you’re trying to develop a gratitude habit, thank you notes can be a great way to do that. Each time you write one, you can remember everything you’re grateful for. So, the take away here is: never expect a gift; never expect a thank you note. Know that you’re never required to give a gift (if it’s a requirement; it’s bartering, not a gift), and that you’re never required to send a thank you note. The next thank you notes I write will be to all the people who so wonderfully helped us when we were going through a medical emergency. Most of these people don’t expect me to write thank you notes, which is all the more reason I’d like to write them. Many people took time out of their busy schedules to think of us during our difficulty, and while I couldn’t even think about anything else rather than being in survival mode while my entire household fought off a bacterial infection (one of which could have killed my husband), now that everyone’s healthy again, I have the clarity of mind to thank them in writing. I already thanked everyone repeatedly in person and via email, but I’d like to send them something to hold on to and to remind them that they are appreciated. What thank you note will you write next? Previous Previous post: I abandoned my kids. So Should You.